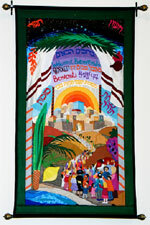 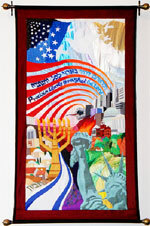 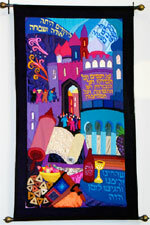 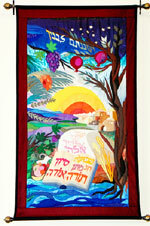 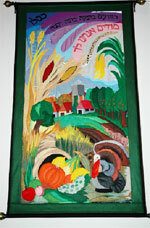 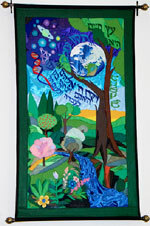 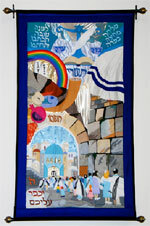 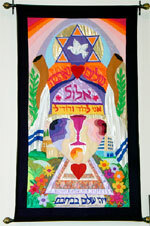 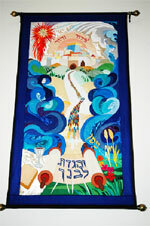 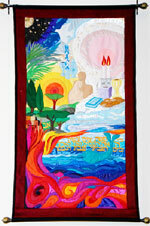 The Sanctuary at Temple B’nai Shalom is adorned by 12 tapestries representing the 12 months of the Hebrew Calendar. 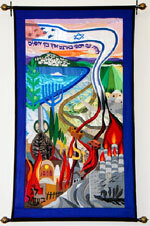 They were designed by the Israeli artists Bracha and Menachem Lavee with Rabbi Perlin as a commission especially for TBS, and brought to life by Bracha herself. 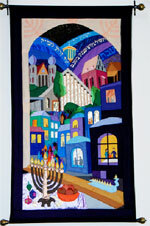 In addition to displaying the Jewish festivals, they also represent our community’s traditions and values.